Minneapolis/St. Paul based Around Town Agency provides media escorting, publicity and lecture event consulting, professional food styling, and promotional services for authors, speakers and performers visiting Minneapolis/St. Paul for book tours, speeches, performances and media appearances. We provide our clients with transportation and logistical support, and we serve as their advocate/liaison to the book, lecture and media markets. 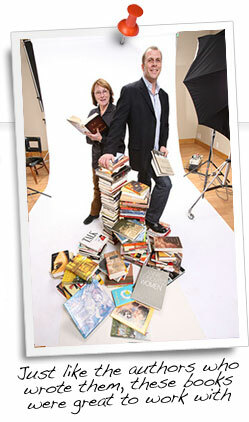 Around Town's clients include publishers, book publicity firms, speakers' agents, lecture sponsors and broadcast media. For 30 years, Around Town Agency has been providing skillful guidance so our clients can focus on their message, and promotional support so their visits will be effective and worthwhile. A familiar face in a strange town is always welcome. And, since we've worked with hundreds of clients numerous times, we can provide a familiar welcome. But, even if we've never met a client, we'll be familiar with them and their current work, and intimately familiar with every aspect of their visit.